The Bío Bío Region (BEE-oh-BEE-oh; Spanish: Región del Bío-Bío), is one of Chile's fifteen first-order administrative divisions; it is divided into four provinces: Arauco, Bío Bío, Concepción, and Ñuble. It is also known by its original denomination: VIII Region. Concepción is the capital and largest city. Other important cities include Chillán, Coronel, Hualpén, Los Ángeles, and Talcahuano. 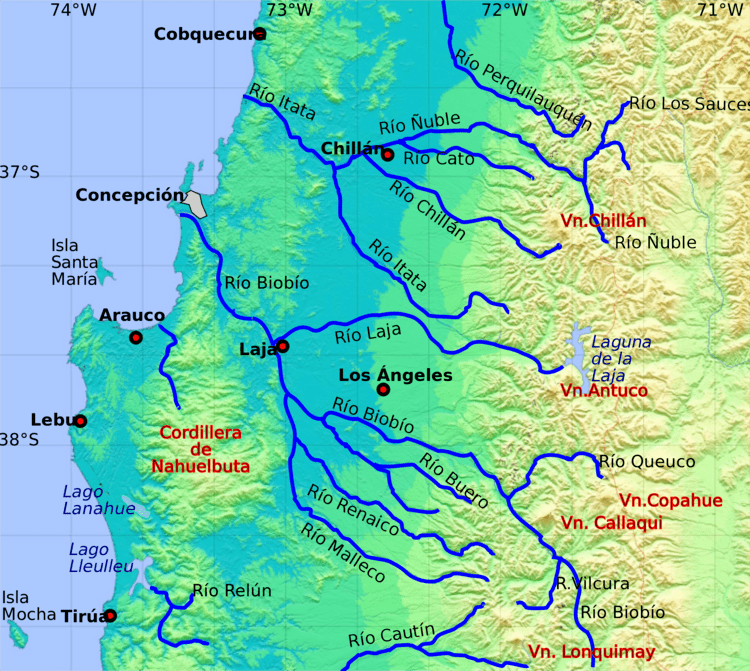 The Region of the Bío Bío is bordered on the west by the Pacific Ocean, on the east by Argentina, on the north by the Chilean Region of Maule, and on the south by the Chilean Region of Araucanía. The Region has been hit by many Chilean earthquakes, including the most powerful earthquake ever recorded (in 1960) and the great earthquake of 2010. Many communities in the region were greatly affected by the earthquake of 2010 and the subsequent tsunami. That earthquake damaged Talcahuano and Dichato; the tsunami destroyed much of what remained of the port town. 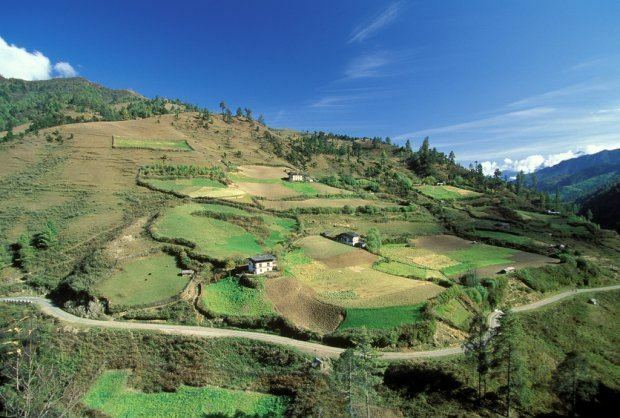 This Region has played a distinguished role in the history and culture of Chile. Many patriots who fought for independence, presidents, politicians, and artists, like pianist Claudio Arrau and folklorist Violeta Parra, were born here. This is an inland valley between the cities of Concepción and Los Angeles, and it felt the greatest impact of the earthquake of 27 February 2010. The Department of Rere was a vital settlement area of Chileans and the three-hundred-year struggle (until the 1870s) to defeat the strong indigenous tribe of the Mapuches. Chilean settlers of Spanish California from the present Region of the Bio Bío (especially from Concepción, Talcahuano, Los Angeles, Santa Barbara, and the Department of Rere) may have played a part in the establishment of Los Angeles, California, and the rest of southern California in the period between 1775 and 1820. Thousands of Chilean miners, ranchers, and shopkeepers from the Bío Bío Region are thought to have settled the coasts, mountains, and valleys of what became American California, both before and after the Mexican-American War, and to have helped create the cities of San Francisco, San Jose Santa Barbara, and San Diego, California. According to data from the 2002 census, the Region of the Bío Bío, with 1,861,562 inhabitants, is the second most populous region of Chile, after the Metropolitan Region of Santiago. In connection with the 1992 census, reflecting a total population of 1,734,305 inhabitants, there was a population growth of 7.3% in 10 years (1992–2002), the second lowest nationally, after the Region Magallanes and Chilean Antarctica. Taking into account their 37062.6 km ² in area, was in 2002, a density of 50.23 inhabitants per km ², the third highest nationally. The 2002 census showed an urban population of 1,528,306 inhabitants, corresponding to 82.1% of regional population and a rural population of 333,256 inhabitants, equivalent to 17.9% of the population of the region. Of the 1,861,562 inhabitants of the region of Bio Bio in 2002, 915,200, the 49.16% were men and 946,362 inhabitants, 50.84% women. The metropolitan area of Concepción is one of the most populated conurbations in the country with a population of 979.937 inhabitants, corresponding to the sum of the population of the ten districts of Greater Concepción: Concepción (216.061 inhabitants) Talcahuano (250.348), Hualpén (88.046), San Pedro de la Paz (80.447) Chiguayante (81.302) Colonel (95.528) Lota (49.089) Penco (46.016) Tomé (52.440) and Hualqui (20.660). Another of the most populated cities in the region are Chillán, with 165.528 inhabitants, is the tenth most populous urban area in the country, and is a conurbation with a portion of its population living in urban areas of the town of Chillán (146.701 inhabitants), and another that lives in the urban area of the town of Chillán Viejo (18.827 inhabitants), and Los Angeles, with its 166.556 inhabitants, is the eighteenth most populous urban area in the country. 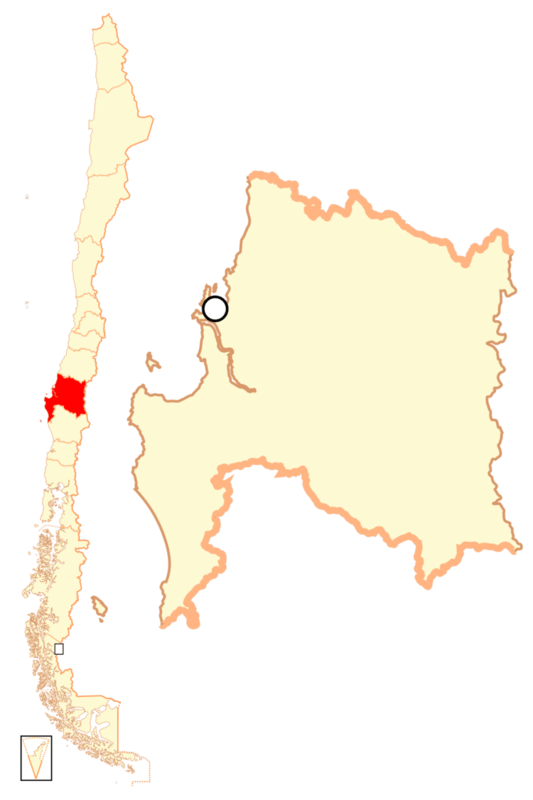 With regard to the Province of Ñuble, besides the city of Chillán, other important cities are: San Carlos, with 29.359 inhabitants, Bulnes with 10.681 inhabitants, and Yungay, with 9288 inhabitants, all of these located in the Intermediate Depression, and Coelemu, with 9845 inhabitants, located in the Cordillera de la Costa, near the Rio Itata. With regard to the Province of Bío Bío, in addition to Los Angeles, other major cities are: Mulchén with 21.819 inhabitants, Birth to 20.884 inhabitants, the conurbation La Laja-San Rosendo, with a total population of 19.537 inhabitants, with 11.947 inhabitants in Cabrero. With regard to the Province of Arauco, the most populated cities are: Curanilahue with 30.126 inhabitants, Lebu, the provincial capital, with 20.838 inhabitants, with 19.839 inhabitants Canete, Arauco with 16.291 inhabitants, and Los Alamos with 13035 inhabitants. With regard to membership or Indigenous Native Peoples, 52.918 people declared in the census of 2002, as Mapuche, this is a 2.84% of regional population and used the relationship P(aternal) = Female: Amerindian, to determine the racial classification of persons identified as Mapuche. Along with Araucania, Maule and O'Higgins regions, Bio Bio's population is believed to be a remarkably homogeneous culture, but is of various ethnic and racial backgrounds. About 53% habitants are of European origin, primarily of Spanish, German, French and other European communities. The mestizos make up 44% of the population and are the result of mixing between Europeans and Amerindians, while Amerindian population is 3%, mainly Mapuche. There is a romantic symbol of Chilenidad: huaso or cowboy/ shepherd "culture", typical of Chile. Large numbers of Andalusian, Asturian, Basque, Galician, Leonese, Murcian, Navarrese, and Valencian nationalities other than the "Castilian" Spanish established the nation and culture and gave the Spanish language to Chile. Small waves of non-Spanish settlement of the region include Germans from Germany, Austria and Switzerland; French and Italians, whom contributed to the regional wine industry; British people, like English and Scottish, have densely settled Concepción on the coast; Dutch, Greek and Portuguese founded the oceanic fishing industry; Arab peoples like the Lebanese and Palestinians established several small businesses; and small scattering of U.S. Americans, Scandinavians and Eastern Europeans (mostly from the former Soviet Union, Czechoslovakia and Yugoslavia, especially Croats) established themselves in Chile as they fled political turmoil. According to a 2002 census 58.63% of the inhabitants of the Bío Bío Region profess Catholicism, equivalent to 805,517 people, the third largest concentration of Catholics in a region in Chile, while the lowest percentage of Catholics corresponding to a region nationwide. 28.36% declare themselves as Protestant or Evangelical, equivalent to 389,632 people, the second largest concentration of Protestants in a region, while the highest percentage of Evangelicals corresponding to a region nationwide. The province of Arauco is the only province to national level in which the number of Evangelicals, corresponding to 47.47% of the population, is greater than that of Catholics, corresponding to 36.33% of the population. It is a result of Protestant (Lutheran and Calvinist), Jehovah's Witnesses, Seventh-day Adventist and Mormon missionary work in Arauco during the 20th century. Bío Bío tends to show a more cultural conservative attitude in contrast to the urban areas of Santiago/Valparaiso, which have a more liberal cosmopolitan position. It is more common for residents to attend church regularly, be it Catholic and Protestant. For decades, the characteristic feature of the Bío Bío Region has been its manufacturing industry, which contributes 35.6% of its GDP and operates mainly around the ports of Talcahuano, San Vicente, Lirquén, and Coronel, the greatest concentration of ports in Chile. The range of activities is broad, extending from iron and steel making to foodstuffs manufacture, petrochemicals, metalworking, oil refining, and shipyards. The region’s dynamism is also rooted in its large rivers. 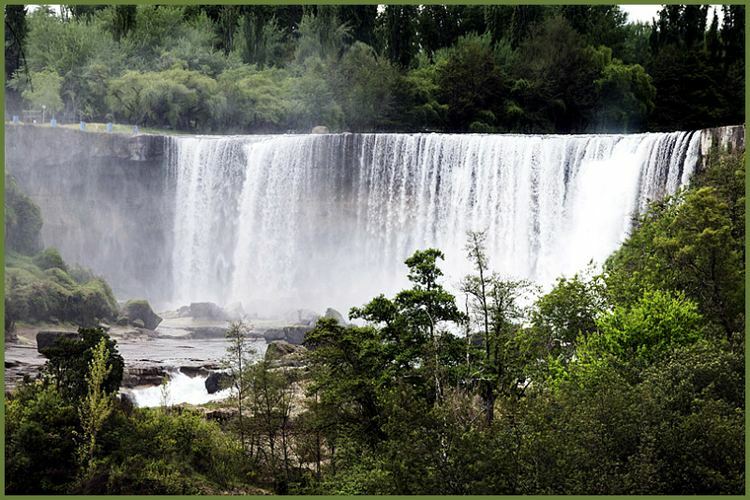 The important hydroelectric power complex on the Laja River is composed of the El Toro, Abanico, and Antuco power plants, and the Pangue and Ralco plants on the upper Bío Bío River. These facilities supply 26.6% of the energy used from Taltal in the north to Chiloé Archipelago 2,500 km (1,553 mi) to the south. The region contains almost 44% of Chile’s forest plantations, of which around 82% are radiata pine. It is the largest exporter of forestry products and supplies raw materials for pulp and paper plants, sawmills, and related activities. The fishing industry is another dynamic sector. The region possesses 32% of the country’s total fishing fleet, while approximately 50% of the national catch is unloaded at its ports. Moreover, this region alone is responsible for 4% of the world’s catch of seafood. Main items include shellfish and conger eel, sardines, anchovy, mackerel, hake, mollusks, crustaceans, and algae. High-quality fertile soils support a wide variety of crops, principally produce, grains, vegetables, artificial and improved pastures. Animal husbandry focuses on production of beef, milk, and dairy products. Mining activity includes non-metallic minerals, principally quartz for the glass and steel industries.